You probably have noticed the titles “producer” and “executive producer” in movie opening or closing credits. You might have even asked yourself, “what’s the difference between the two?” and, “why are there separate credits for each?” If you have had the same fleeting questions, this article is for you. A producer is the “manager” of a movie. He is in charge of all aspects of the production, from the initial script review to the promotion of the finished film. He reports to the top executives (i.e. the executive producers). He is also eligible to be nominated for movie awards. 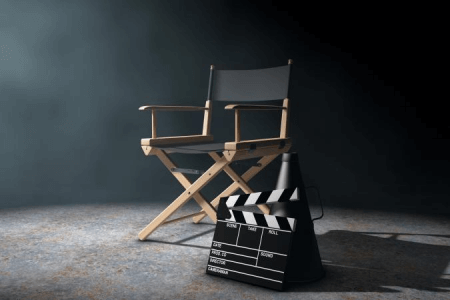 Once the top executives acquire the necessary funding for the film, it is the responsibility of the producer to ensure that the allocated budget is utilized for the film production. It is also his duty to hire and coordinate the people with the right talents and skills necessary for the film creation. If the producer belongs to a big production firm, it is within his discretion to source the workforce internally or externally. Moreover, it is the producer’s responsibility to lay out a schedule for the day-to-day operation of the film-making. He also takes directions from the top executives to make sure that the project is finished on time according to the contract. He also supervises the technical aspects of the production, including the creative and technological aspects and the physical facilities necessary for the production process. A producer may own a production firm that already has the existing personnel to care for the different aspects of the film production. He may also belong to a motion picture studio that provides the necessary talents required for the film. An executive producer, or “EP,” is the “top executive” in a corporation. Before the production process starts, the executive producer prepares the necessary budget for the operation. He may get this funding from his own production company or from investors who hope to gain profits from the movie. Usually, these investors are considered executive producers, too. The executive producer then hires the producer but does not hire the rest of the crew members. He directs the producer to make sure that the production is going as planned and that the schedule is followed. Although he does not oversee the technological aspects of the movie, he may provide advice and may contribute to the creative aspect of the movie. Additionally, it is his obligation to organize the necessary legal documents, and scripts as well as work on marketing and networking. What, then, is the difference between a producer and an executive producer? A producer can be likened to a “manager” of a firm, whereas an executive producer is like the “top executive” of a corporation. The executive producer hires the producer, then the producer hires the people who have the talents and skills that are right for the project. Both are involved in the financial aspect of the film. The producer makes sure that the budget provided by the executive producer is utilized for the film production. Both also manage the schedule. The producer lays out the day-to-day schedule, while the executive producer directs the producer to make sure that the stipulated completion date is followed. In terms of the daily operation, the producer is more hands-on than the executive producer. The producer takes care of the creative, technological, and technical aspects of the film, including procurement of the necessary equipment. The executive producer has an advisory role when it comes to the creative aspect. He oversees the scripts, legalities, and marketing of the film. Additionally, the producer is eligible for awards (e.g. the Academy Awards), but the executive producer is not.